Companion animals occupy special places in our hearts, and losing such a connection means that no one will ever fill that special place in quite the same way again. 3. A multitude of web and print resources address this issue and may help you cope during this difficult time. The many stages of grief are well-established, however be aware that the progression is not necessarily linear – i.e., they can occur before, during and after the loss of the beloved. Sadness can last quite some time, even many months, but with proper attention to yourself, you will recover. While the pain may recede with time, these feelings are a legacy, a reminder of the importance of the role they played in your lives. 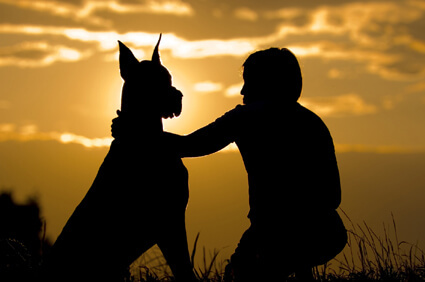 If you’ve recently lost a constant and dear companion, all of us here at Life’s Abundance hope you’ll be able to deal effectively with your loss and find solace in the happy times you shared.